I’m not one for game replica toys, but when I heard about the replica of Edward Kenway’s hidden blade from Assassins Creed IV: Black Flag, I just had to check it out. Whether you’re a collector or thinking of using this for your next costume, the quality of this product exceeds all expectations. Unlike past versions of the hidden blade where the blade and gauntlet were one solid piece, AC4: Black Flag’s hidden blade has been altered to be a stand-alone piece that can be strapped onto any forearm. 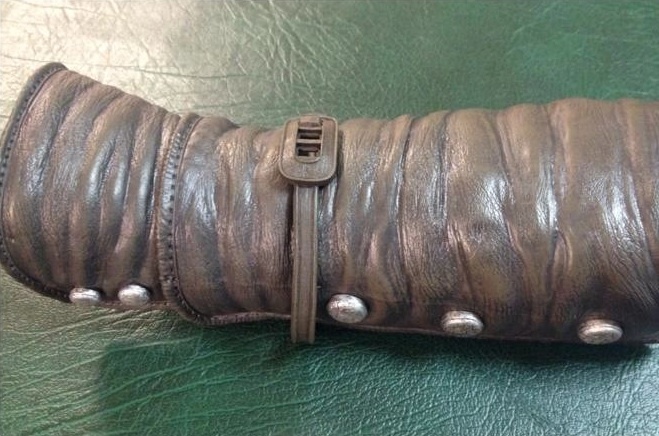 Despite this, McFarlane Toys still included a strikingly real looking leather gauntlet as well as a replica of the skull buckle Edward wears on his bandolier. 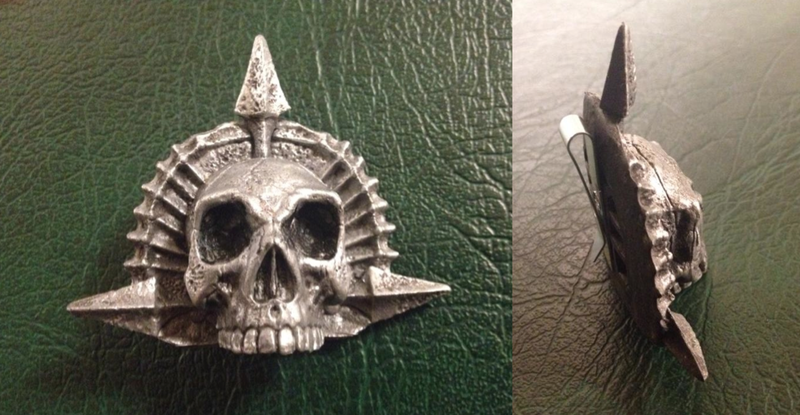 Between the intricately crafted blade piece and the beautiful precision of the skull buckle, this prop looks like it was stolen off a movie set, or maybe off the body of a dead assassin. The leather-like gauntlet is not only strong and resilient, but is also shockingly bendy. I expected this item to be either flimsy or stubbornly rigid. It’s neither. It’s soft enough to bend to the width of your forearm, while strong enough to resist wear and tear. The triggering mechanism for the blade is actually quite sensitive. Although there is a safety switch on the back, the blade will still trigger sometimes. Keep in mind that the hard plastic tip of the blade is quite pointy. So just please be careful with how and where you use it. I will most likely be using this product for an upcoming cosplay – although I might rework the trigger device a bit. Either way, this is truly an amazing product and a must-have for any fan of the Assassins Creed series.